works best with IE9 or newer versions. the individual detail pop-up information, please send us an email with the changes. have an email address you wish to make available, please send it to us. Corrections are welcome as well. This website is a collection of the information known to date regarding the family of Jacob and Sophie Reigel. If you have additional information for this website or know any of the information that is missing (notated by question marks on the family trees), please send an email with the correct information so that we can keep this website up-to-date. Jacob and Sophie Reigel were German immigrants from Russia. The original spelling of the name was "Reichel" but was changed when the family came to the United States. Today, some American family members spell the name "Reigel" while others spell it "Riegel". 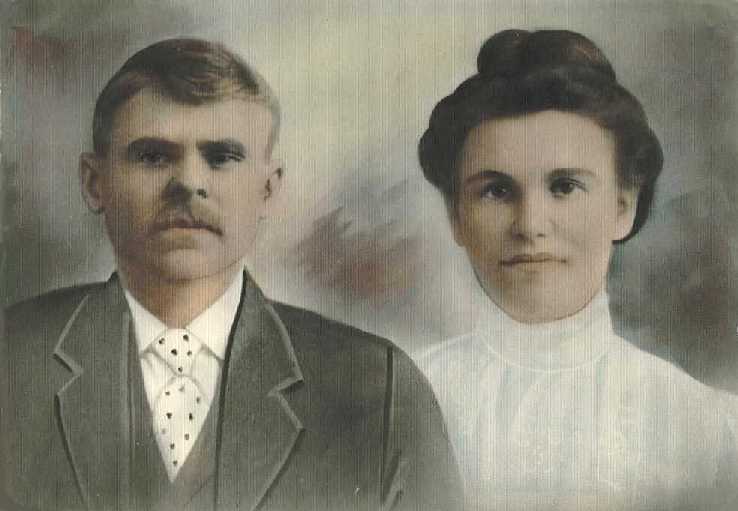 Although the information presented here is primarily about the offspring of Jacob and Sophie (Ruff) Reichel, we have also included any known information on their grandparents, parents, and siblings. For example, we were able to include quite a bit of information on the family of one of Jacob's brothers, Andreas. This information came from Maria Koch Reichel who was married to Andreas' son (also named Jacob Reichel ... not to be confused with the Jacob Reichel who is the subject of this website). Maria still lives in Dietel, Russia (now known as Alesniki, Russia). Two of Jacob and Sophie Reigel's granddaughters, Annette Parrish and Cristy McMillin, met Maria when they traveled to Russia in 1994(??). A big thanks to Annette for helping to preserve our heritage by documenting what they learned about our family from Maria! !